Tyson Foods Inc. is recalling about 33,840 pounds of mechanically separated chicken products due to fears it may be contaminated with Salmonella bacteria. The U.S. Department of Agriculture’s Food Safety and Inspection Service (FSIS) and Tyson Foods said that they were voluntarily recalling some 40-pound cases, which contained four 10-pound packages of Tyson Mechanically Separated Chicken. The products were produced on Oct. 11, 2013. The chicken was intended for institutional use only across the country, and would not have made its way for consumer purchase in retail stores. This particular product was shipped to centers in California, Florida, Indiana, Kansas, Nevada, New Jersey, Ohio, and Wisconsin. The products can be identified by the P-13556 establishment number, which is located inside the USDA mark of inspection. The case code is 2843SDL1412 -- 18. The recall was issued after FSIS became aware of people at a Tennessee correctional facility being infected with a particular strain of the bacteria, Salmonella Heidelberg, on Dec. 12, 2013. Seven people had been sickened by the bacteria between Nov. 29, 2013 to Dec. 5, 2013. Two of them required hospitalization. After working with the Tennessee Department of Health, it was determined that the patients had consumed the chicken in question. The investigation remains ongoing. The public can contact Tyson Consumer Relations department at 866-886-8456 with any concerns. Salmonella bacteria can cause an illness known as salmonellosis. About 42,000 cases of salmonellosis are reported to CDC each year, but many more can go undiagnosed or unreported. Symptoms of salmonellosis include diarrhea, fever and abdominal cramps within 12 to 72 hours of infection. The sickness lasts four to seven days, and usually does not require additional treatment. In severe cases, patients may need hospitalization because the bacteria spreads from the intestines to the bloodstream and other parts of the body. The elderly, infants and those with impaired immune systems are at the highest risk of complications. 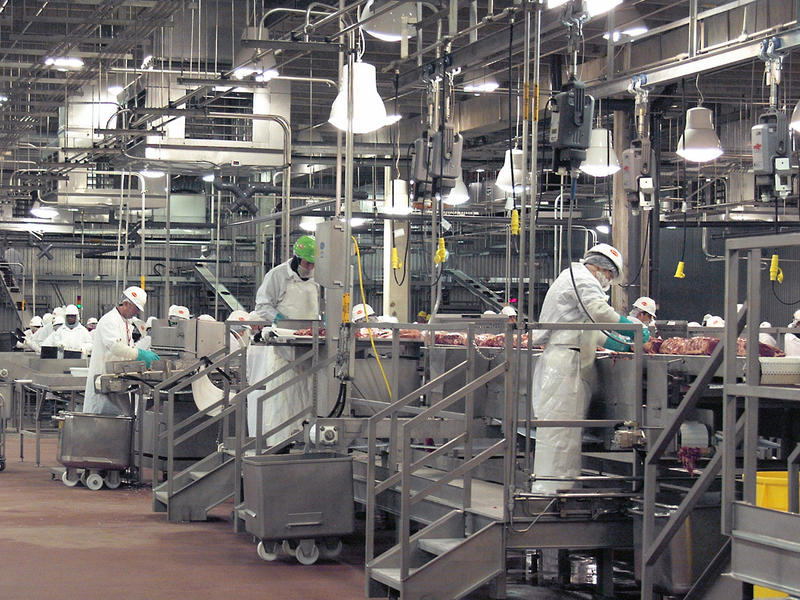 Salmonella Heidelberg was also linked to a public health alert last October in which health officials urged consumers to cook Foster Farms raw chicken package produced at three different California facilities. The outbreak first began in March 2013. The Centers for Disease Control and Prevention reported that at the latest count in Dec. 2013, 416 people had been sickened by the virus in 23 states. Thirty-nine percent of them required hospitalization. Foster Farms did not recall the chicken, arguing the infections were caused because the chicken was undercooked. The U.S. Department of Agriculture threatened to shut down the three facilities until the problems were fixed, but did not issue a recall. In Oct. 2013, Costco’s El Camino Real store near San Francisco, Calif. recalled more than 23,000 units of Foster Farms rotisserie chicken products due to the salmonella concerns. A report from Pew Charitable Trusts in December blamed problems with the government food safety program for causing the Foster Farms salmonella outbreak. “When more than 500 people get sick from two outbreaks associated with chicken that meets federal safety standards, it is clear that those standards are not effectively protecting public health,” Sandra Eskin, director of Pew’s food safety project, said at the time. A recent report from Consumer Reports also showed that 97 percent of raw chicken breasts researchers tested had contained potentially harmful bacteria. People can prevent salmonellosis by cooking poultry, ground beef and eggs thoroughly and not eating or drinking foods containing raw eggs or raw, unpasteurized milk. When preparing meat, wash hands, kitchen work surfaces and utensils with soap and water after they come in contact with raw meat or poultry. Those in contact with infants should not handle raw poultry and meat at the same time.